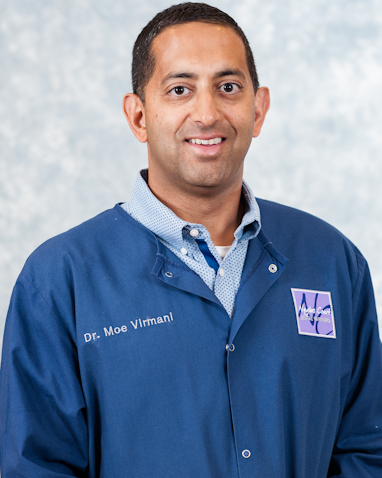 Although he was born in Chicago, Illinois, Dr. Mohit Virmani spent nearly all of his childhood in North Potomac, MD. In 1996, he received his Bachelor's Degree in Biomedical Engineering from Case Western Reserve University in Cleveland, Ohio. He then received his doctorate degree from the University of Michigan in 2000. Since then, he completed an Advanced General Dentistry residency with the United States Army at Fort Lewis, Washington. He then served two more years as an Army Dentist in El Paso, Texas, where he received an Army Commendation Medal and an Army Achievement Medal. He then practiced with a group of doctors in Columbia, MD before venturing into Naylors Court with his wife. He has remained active in post-graduate continuing education, taking courses in topics such as cosmetic dentistry, implant therapy, and endodontic therapy. He is also a member of the American Dental Association, Academy of General Dentistry, and the American Association of Cosmetic Dentistry. When not working, he enjoys biking and is an avid sports fan. Even his young daughters are developing a love of the Michigan Wolverines!